Opening this Friday, October 19th, at 7pm in the SCI-Arc gallery, the Graduation Pavilion Competition Exhibition documents the four faculty entries in the competition organized this past summer to select a winning design for the ArtPlace-funded outdoor pavilion, scheduled to be completed in spring 2013. 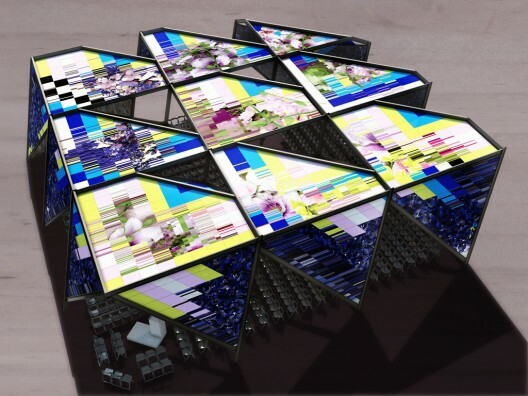 SCI-Arc invited faculty members Ramiro Diaz-Granados, Elena Manferdini, Marcelo Spina (winning entry) and Tom Wiscombe to submit concepts for a design of an innovative, technically implementable, and visually remarkable multi-purpose pavilion. The resulting stage is set to host several upcoming graduation ceremonies, noteworthy symposia and presentations, as well as outreach cultural events developed in partnership with the surrounding Arts Community. The exhibition is on view until December 2. 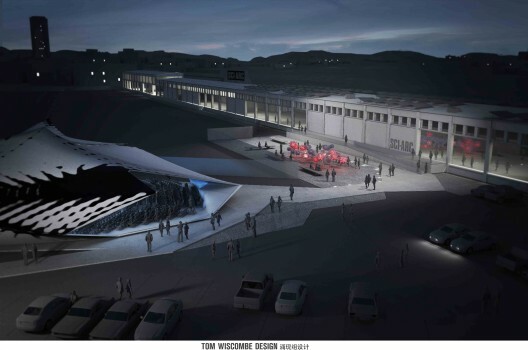 More images and architects’ description of their proposals after the break. 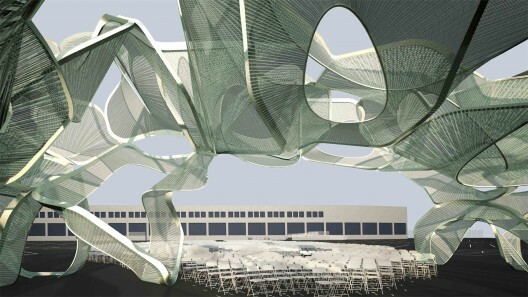 The winning entry, League of Shadows, designed by Marcelo Spina and Georgina Huljich of PATTERNS, fully exploits the fundamental aspect underlying the pavilion, its temporal use as an outdoor event space. 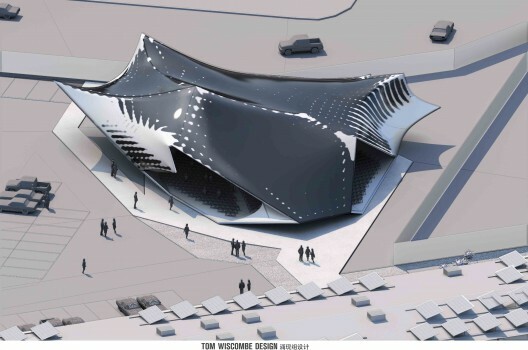 Their proposal to design a vaulted pavilion allows the structure a double function: that of an outdoor public event space, and a more iconic one of a formal beacon reasserting SCI-Arc’s institutional presence in downtown. 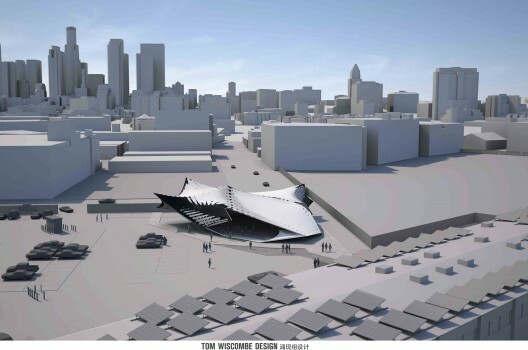 Due to its placement in the SCI-Arc parking lot, the pavilion will serve as a landmark, a natural marquee of the SCI-Arc campus and the Arts District, and it will become a suitable venue for SCI-Arc to engage outside audiences from the downtown community and the larger Los Angeles area. By scaling up, moving outside, and being liberated by the comfort of a white bounding box, the ensemble of figures finds a new comfort zone within the jungle of asphalt, concrete, chain link, barbed wire, parking stripes, graffiti, and the seemingly endless grit of the SCI-Arc surroundings. 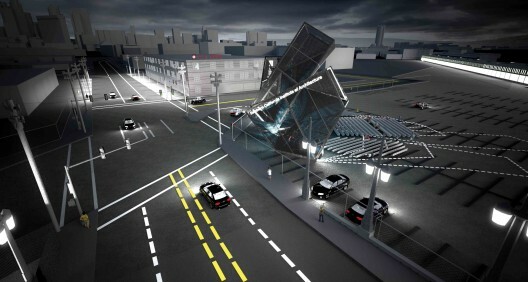 The pavilion is located near the chamfered corner at 4th and Merrick St. This does two things. It capitalizes on the western exposure of sunlight to produce maximum amount of shade in the late afternoons for future events and it provides a visible and engaging presence for SCI-Arc at an urban intersection. The design is based on creating the illusion of figures pushing outwards into a loose outer skin. Mysterious distortions and formal fall-off effects are produced, similar to those which occur when you push your fist through a rubber sheet. Three-dimensional mass effects are enhanced by two-dimensional tattoos that are inscribed into the most intensely stretched areas. Nevertheless, tattoos are developed on their own terms in parallel, as objects, with their own internal rules and figuration. The interface of mass-object and drawing-object creates productive feedback in terms of the overall wholeness of the piece. The enclosure varies from razor thin to thick. A delaminated inner liner, characterized by inverted peaks and distortions, tracks along with, but also deviates from, the outer skin. Some of these inner features are made visible through massive apertures in the enclosure. The enclosure itself begins to read as volume. The construction is based on supercomponents, or the idea that chunk-logic is better than frame and infill logic. Industrial shrink wrapping, normally used for encapsulating helicopters and tanks, is shrunk around a straight steel frame with curve-defining rolled aluminum pipe and nylon straps. Components are fabricated on the ground as volumetric chunks, lifted into place, and spliced together structurally, leaving visible joints. Ultimately, the weird figuration of the building mass is also present in each of the supercomponents, creating a novel part to whole relationship. The proposal for a new SCI-Arc Graduation Pavilion seeks to create a garden for the community of downtown and offer to the students a place to gather and rest in the shade all year long, rather than a graduation ceremony tent used for only one day. 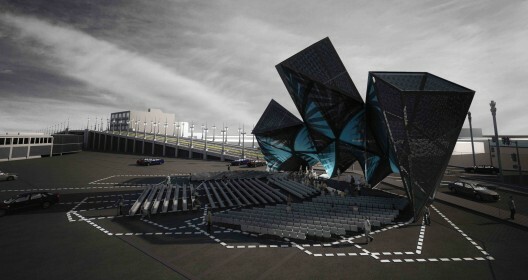 The massing of the pavilion is obtained by the compilation of nine rotated cubes, combined on a three-dimensional grid. The nine modules are composed on the parking lot in order create a large event space through the simplicity of their interlocked composition and their large scale. These masses, wrapped by a network of various natural paintings, are “presences” rather than “sculptures”. The subject of the printed images reinterprets the topic of “Living Garden” through a contemporary use of digital scanning techniques and scripting algorithms. In particular, the original subjects of the graphic depictions are 3D scanned acquisitions of natural elements such as trees, flowers and insects. These analogue geometries are scripted into striped patterns that follow the cubic modularity of the pavilion massing. 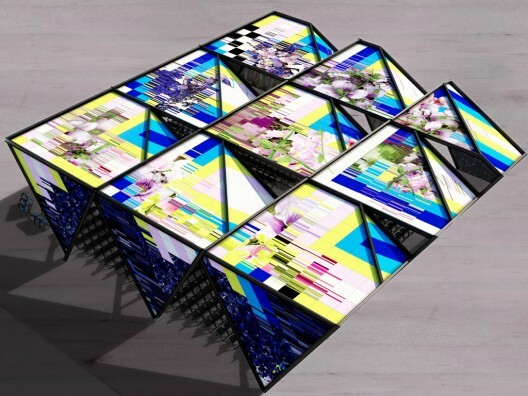 Once the original image is transformed by algorithmic iterations, the geometrical matter that constitutes the photorealistic representation of nature and its details disappear into geometrical abstract stripes that get stretched as a digital canvas onto the nine cube structure.